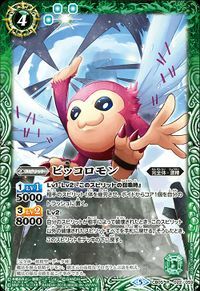 A Fairy Digimon that is fluent in magic. It can recite the advanced programming language of another dimension, allowing it to generate miracles with the appearance of magic. 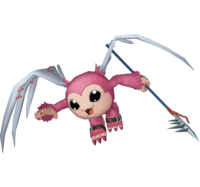 This miraculous Digimon is able to pop up in every place, time, and space, and although its body is small, it can seal away the enemy's abilities with its own special ability, and then pulverize the opponent with a mighty blow. With its mischief-loving personality, it enjoys making computers run wild with its cherished spear, "Fairy Tale", that it always holds in its hands (although it has no ill intent). Its Special Move is a super-powerful bomb packed with computer viruses (Bit Bomb). Despite its appearance, it uses terrifying attacks. 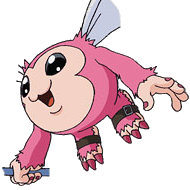 — Digimon Adventure: "The Fairy! 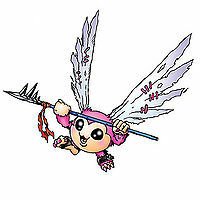 Piccolomon"
| Pixi is short for pixie, which were tiny magical beings that resembled fairies. Bit Bomb  ビットボム Bitto Bomu Pit Bomb/BIT Bomb/Pixi Blast Conjures up a flying bomb shaped like a bat made from a computer virus. 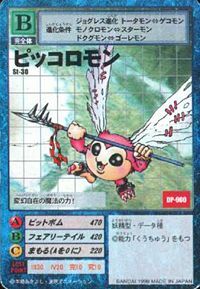 Fairy Tale  フェアリーテイル Fearī Teiru Magical Tail/Fairy Tale Attacks with its spear. 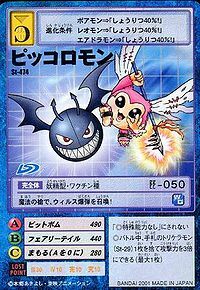 Pic Trick  ピクトリック Piku Torikku Victory Trick Twirls its arrow, creating a huge star to hit the opponent. Warps the target to another space. 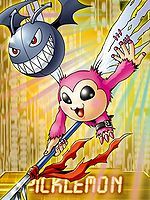 Piccolomon helped the Chosen Children in the fight against Etemon. He also helped the Chosen Children to flee from the Dark Masters, but sacrificed his life in the process. 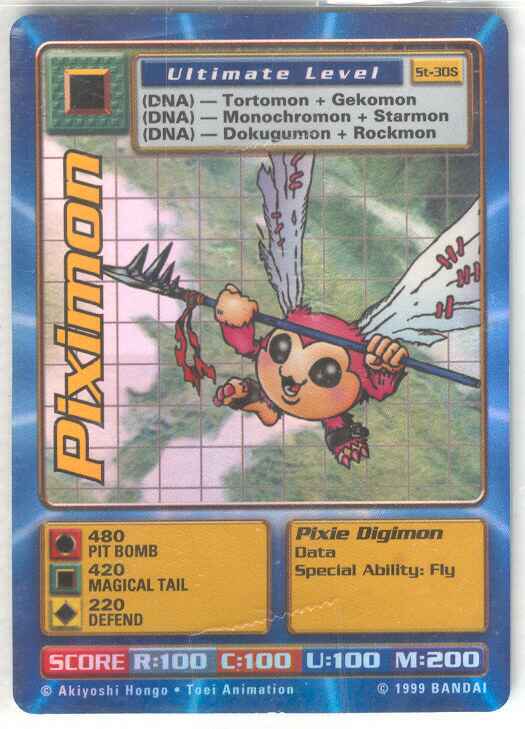 Piccolomon appears as an obtainable Perfect-level Data type Digimon in Digimon World. Piccolomon resides in the Tropical Jungle, though there's a very rare chance to see it, as its seen in the screen that has two Muchomon in the day or two Jungle Mojyamon in the night. Piccolomon has an usual routine, that it shows up at the same hour every day, but the hour is different in every game and save file. When Piccolomon is spotted and if your Digimon isn't strong enough to face it, because due to being a Perfect Digimon, it provides a hard battle, its reccomendable to take notes of the time it starts showing up. After its spotted and defeated, it'll join the Village of Beginnings along with the Item Shop Digimon: Monochromon, Unimon, Patamon and Piyomon, where it'll rarely show up, and if it does, it'll sell you a Training Manual for 50,000 BITs, which raises the earned stats of your Digimon when training. If you don't see Piccolomon in the Shop, you can simply enter and leave until it appears. Bonus conditions: Have a Happiness of 95% and have at least more than 30 techniques mastered. 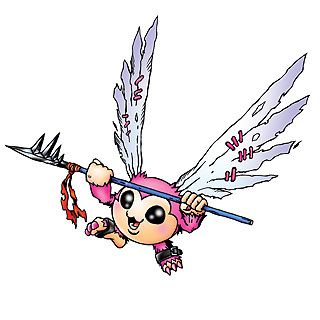 Piccolomon's Digivolution item is the Small Spear which lets any Adult Digimon evolve into Piccolomon. 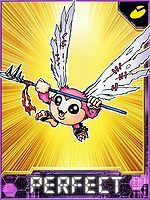 Piccolomon is an obtainable Digimon. Evolves from Akatorimon (0+ DP) or Cockatrimon (6+ DP) and can evolve to Griffomon (0+ DP). 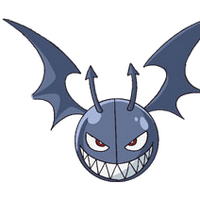 Can be evolved from Unimon if above level 36, or can be found at Sky Palace. It also can evolve to Jijimon if above level 38 and Stress below 10%, or Babamon if level is over 38 but Stress above 90%. He also appears giving you Pudding Recipe at Mangrove Forest during Sunflowmon's request mission. Can be evolved from Unimon if above level 33, spirit 145, and Holy EXP 4300, or can be found at Highlight Heaven. Can evolve to Jijimon if above level 48, attack 220, and Holy EXP 8000. 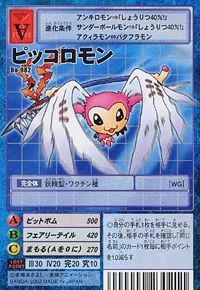 Evolves from Angemon, Cockatrimon, Sorcerimon, Darcmon or Togemon. Can evolve to Rosemon. Evolves from Mojyamon at level 25 and can further evolve to Jijimon at level 41. Evolves from Cockatrimon, Kuwagamon or Mojyamon. Obtained by Jogressing Kabuterimon, Tortamon, Monochromon, Starmon, Kuwagamon or Gekomon with a compatible Digimon. Can Jogress to Saber Leomon with a compatible Digimon. 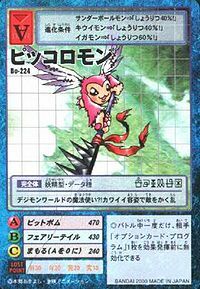 Obtained by Jogressing Kabuterimon, Tailmon, Monochromon, Starmon, Kuwagamon or Gekomon with a compatible Digimon. Can Jogress to Saber Leomon with a compatible Digimon. It has the power to transform at will! It summons a virus bomb with its magical spear! A mage from the Digital World?! 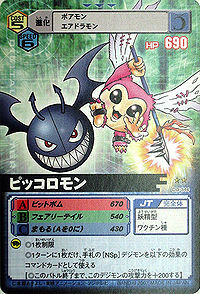 It uses its cute looks to distract the opponent. 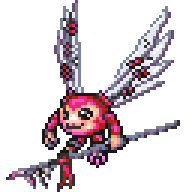 A Fairy Digimon that is fluent in magic. It can recite the advanced programming language of another dimension, allowing it to generate miracles with the appearance of magic. 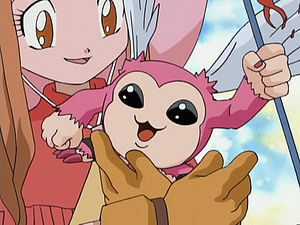 ↑ Digimon Adventure: "The Fairy! Piccolomon"
↑ Digimon Next: "Greymon VS Peckmon!" ↑ Although this Digimon is labeled 'Picklemon' on its analyzer screen, is referred to as 'Piccolomon' by Piyomon and the own Narrator. This page was last modified on 8 September 2018, at 09:18.